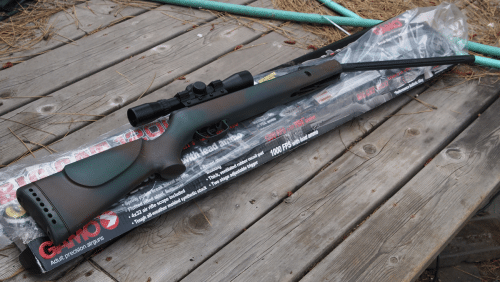 After testing several Gamo air rifles, including the three for this review, the Whisper Fusion, Whisper Silent Cat, and Varmint Air Rifle remain the top three choices for the typical shooter. While each of Gamo’s air rifles are among the highest quality on the market, these three specific model stand out among the rest due to their power, ergonomics, and their ability to be used for hunting just as easily as they can be used for target shooting. If you’re currently on the market for an air rifle or are considering buying one, you’ve come to the right place. We’ll talk about what makes Gamo a top manufacturer of air rifles, the benefits of owning an air rifle in the first place, and then these three models of Gamo rifles and their unique pros and cons. Gamo is a Spanish company and has been producing air rifles since 1961. They were originally founded in the late 1880s and produced air pellets for several decades, before getting into the air rifle business, which they have been known for ever since. Today, Gamo produces high quality air powered rifles in addition to air pistol, pellets/ammunition, and optics for air rifles and sell their products in over ninety different countries across the globe. Several of their products are patented, which speaks to their innovation and quality. An added benefit of Gamo is how they are one of the most environmentally friendly air gun manufacturers, and they run a green manufacturing facility. You might be wondering about the benefits of owning an air rifle in comparison to actual firearms. The truth is that a quality air rifle will make a noteworthy addition to any gun collection. There are many advantages to owning an air rifle, each of which makes it an excellent choice for a homestead or survival rifle. One of the biggest advantages to owning an air rifle is how quiet it is. If you have neighbors in close vicinity, you can go hunting or target shooting with your air rifle knowing that you won’t be disturbing anybody. During hunting in particular, there will be no loud noise that makes wild game alert to your presence should you miss with your first shot.Another advantage to air rifles is how easy they are to shoot. There is virtually no recoil whatsoever, so people of any age or height will be able to safely and accurately shoot an air rifle. 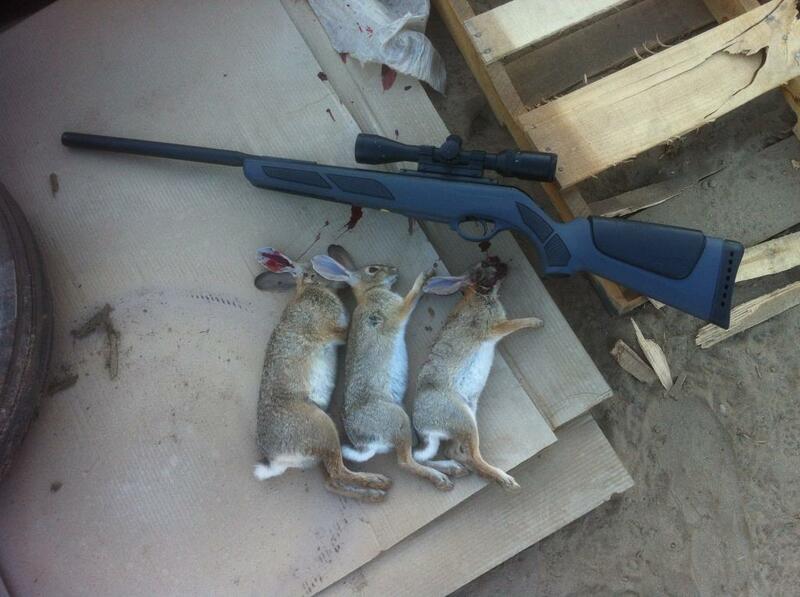 Certain types of air rifles with enough power are also suitable for hunting small game and will be able to drop rabbits or squirrels with only one shot. Pellet rifles in particular are quite accurate thanks to their quality build and excellent iron sights, and with the addition of a good scope, you’ll be able to bring down small game at distances up to fifty yards. Air rifles are also incredibly affordable to buy and shoot in comparison to firearms. Most quality air rifles can be purchased for less than $200, and the ammunition is also very plentiful and reasonable. Finally, air rifles are fully legal to own and fire in almost all areas. This is because they are not classified as firearms, and therefore there are no licenses required or restrictions for you to follow when owning one. Gamo is a brand well known for their quality, and the Whisper Fusion Air rifle is a model that exceeds the high bar Gamo has set. That’s why it’s our top pick for a Gamo air rifle. Chambered for the .177 caliber round, the Whisper Fusion Air Rifle is an excellent choice for both small game hunting and target shooting. Total weight of the rile is eight pounds, while the length comes out to 43 inches. And if you prefer a more powerful air rifle, a .22 caliber model of the same rifle is available to purchase as well. The Gamo Whisper Fusion Air Rifle delivers a total velocity of 1400 feet per second, which is a significant improvement over many other models of air rifles, which often will not even exceed 1,000 FPS. The Whisper Fusion air rifle also comes installed with a noise dampening technology to ensure that your neighbors will never hear anything. While the Whisper Fusion is not one hundred percent quiet or even as quiet as the sound of a whisper (despite the name), it’s still very quiet. The two stage trigger is adjustable with a pull of just three and three quarters pounds. The rifle utilizes a break barrel action, so there is no need to pump the rifle with each shot. Finally, the non-slip grip texture ensures that you will be able to keep a tight grip over the rifle even in wet or slippery conditions. Our runner up to the Whisper Fusion air rifle is the Whisper Silent Cat rifle. Like the Whisper Fusion, this is also a solid choice for both small game hunting and target shooting. The Whisper Silent Cat is slightly less powerful than the Whisper Fusion. It fires a .177 caliber pellet at a velocity of 1200 feet per second. This rifle is lighter than the Whisper Fusion at seven pounds, which makes it a suitable choice for carrying around in the field or in the woods. Speaking of which, the Whisper Silent Cat is designed to be an outdoor rifle and as such comes installed with an all-weather black synthetic stock and a ventilated rubber pad that does much to absorb recoil. The thumbhole stock also means that the rifle is very ergonomic to hold. A fiber optic front sight and adjustable rear sight help ensure excellent accuracy. As an added bonus the Whisper Silent Cat also ships with a 4x32mm rifle scope and scope rings for easy installation, in addition to a one year limited warranty. The biggest negative to the Whisper Silent Cat, however, is the trigger. It’s a two stage adjustable trigger that actually has a rather hard pull, and some reviewers of the rifle have complained about it. But overall, this is still a solid air rifle, and it’s hard to beat it for less than $200. Regardless of whether you want an air rifle for pest control, small game hunting, or casual plinking, the Whisper Silent Cat deserves your attention. Both the Whisper Fusion and the Whisper Silent Cat are excellent air rifles, but for many people they come with one significant downside: the price tag. If you were hoping to spend less than one hundred dollars on a quality air rifle, neither the Whisper Fusion or Whisper Silent Cat will be within your price range. But Gamo does produce one high quality rifle for those on a budget in the form of the Garmin Varmint Air Rifle. This is a .177 caliber air rifle that utilizes a single cocking, break barrel design and with a spring piston that can deliver over 1200 FPS. The Varmint utilizes an all-weather stock that is designed to accommodate both right handed and left handed shooters, while it also ships with a shockproof 4x32mm riflescope and mounts. The scope is fully adjustable for both elevation and windage. Some reviewers have noted, however, that the scope that ships with the Varmint can be a little difficult to sight in. They have also noted that the sights are not dialed in when the rifle ships, and so you will need to spend some time sighting in the rifle. For additional features, the Varmint comes with a fluted metal and polymer jacketed barrel that helps aid in ablance, while the trigger is an adjustable two stage trigger that’s actually superior to the Whisper Silent Cat.. As with all other Gamo rifles, the Varmint ships with a one year warranty. 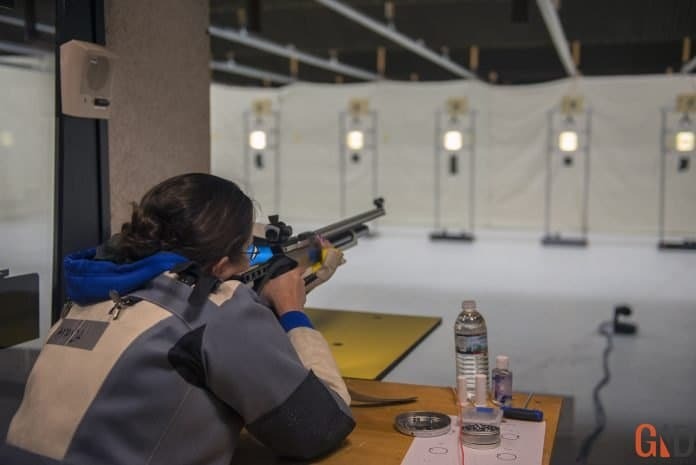 When it comes down to it, there are several reasons why you need to own an air rifle. They are cheap to own, incredibly easy to shoot, and come with the benefit of being extremely quiet so as not to disturb your neighbors or other wild game while hunting. If you do decide to own an air rifle, Gamo will be one of the very best manufacturers for you to buy from, and specifically you should pay close attention to the Whisper Fusion, Whisper Silent Cat, and Varmint Air Rifles due to their quality, performance, and versatility. Will. Received a Gamo Varmint equipped with a 4X32 scope recently. After replacing the included scope that would not respond to elevation adjustments and shooting in the replacement, I find that the present scope seems to wonder. It will shoot three in a good group, then scatter one way off. I’m no expert marksman, but I have shot some, and do rest the rifle fore and aft when shooting in. Have read and heard stories about such inaccuracies and some of the reasons for same. What should I change or try to make the rifle more consistent? I have found that you need to wipe the breach face and air chamber coupling surfaces to insure they are totally free of anything that would cause a misalignment of the barrel what it is closed. I do this on every shot. It shrunk my groups from 1” @ 10meters to just over 1/4”. I also found that you need to spend the extra money for a one piece scope base and a decent scope with an adjustable objective to correct for optical parallax inconsistencies.